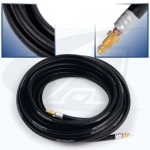 The best brand name TIG torch packages are built with high-quality vinyl and superflex rubber cable and hose materials. 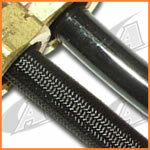 Durable, non-conductive materials critical to TIG torch performance. The choice is based on your welding application and budget! 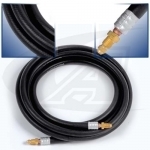 Superflex rubber material is durable and more flexible in cold weather. Vinyl material is lower cost and is good for general purpose jobs. 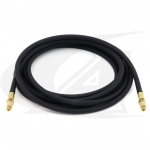 Note: To learn more, read our blog story "Rubber versus Vinyl Plastic Hoses, Which is better?"